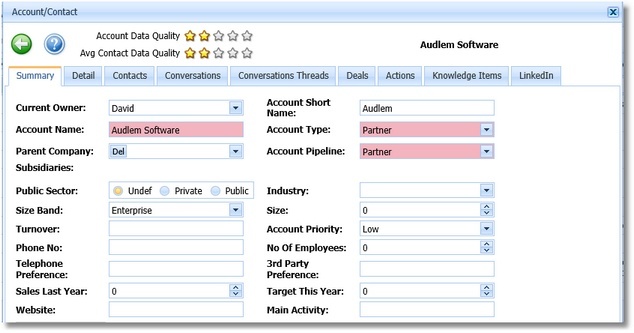 ConversationalCRM has support for determining the quality of your accounts and contacts. On the account popup it shows, using stars, the quality of this account data and the average of the quality of the account’s contacts. On the contact popup it shows, using stars, the quality of this contact data. 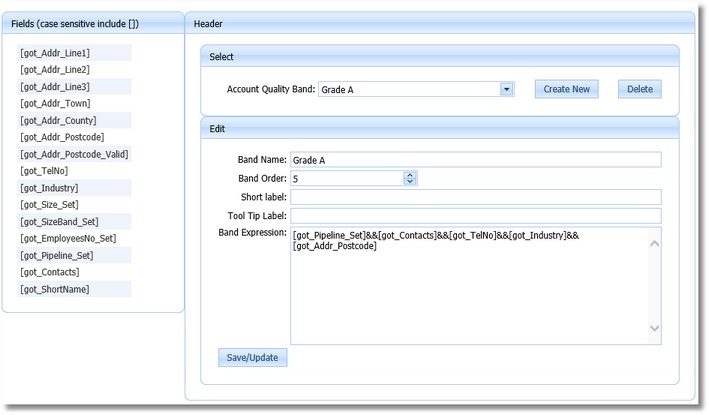 All the parameters for determining the quality of both accounts and contacts are configurable. You configure the number of stars and the rules for each level. 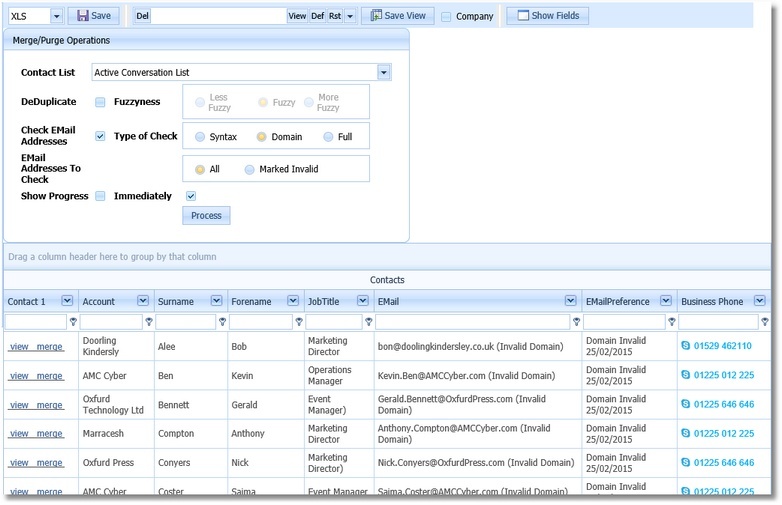 ConversationalCRM has built-in tools for cleaning your account and contact data. 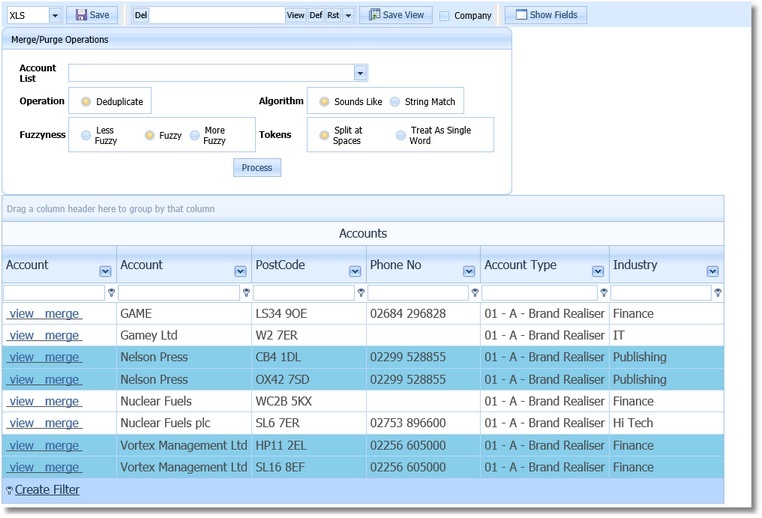 You can determine duplicates in both your accounts and contacts using sophisticated matching algorithms. The algorithms you can select includes sounds like, starting with and contains. 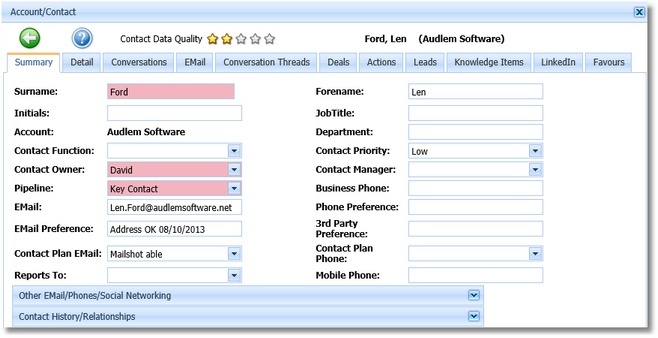 For contact names, ConversationalCRM uses a synonym dictionary for matching first names. 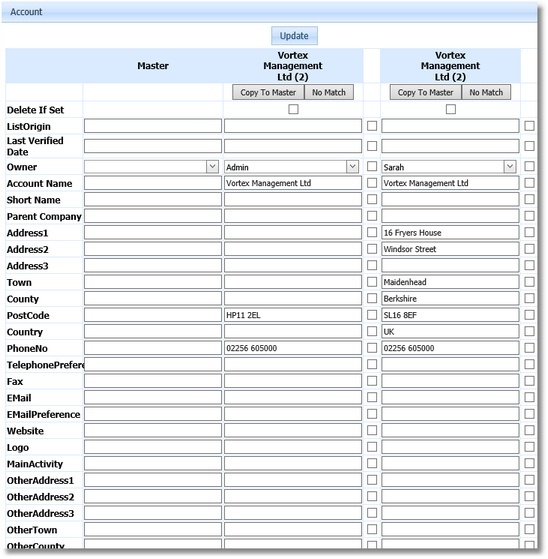 You merge the found duplicates by using a form which displays the fields for all duplicates, allowing you to choose the field value most appropriate. 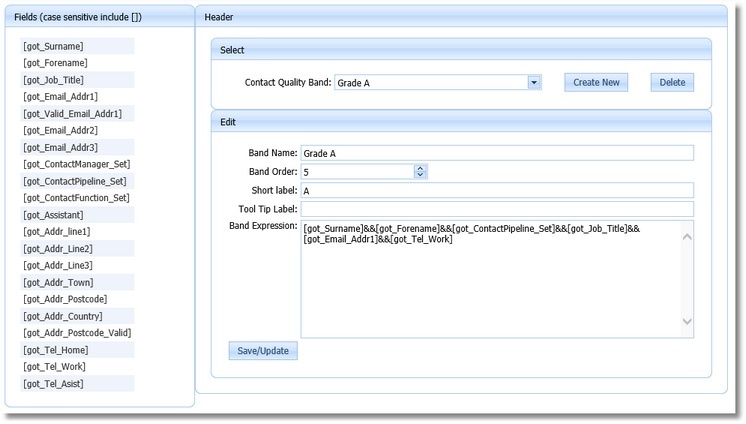 ConversationalCRM has built-in tools for checking the validity of email addresses. 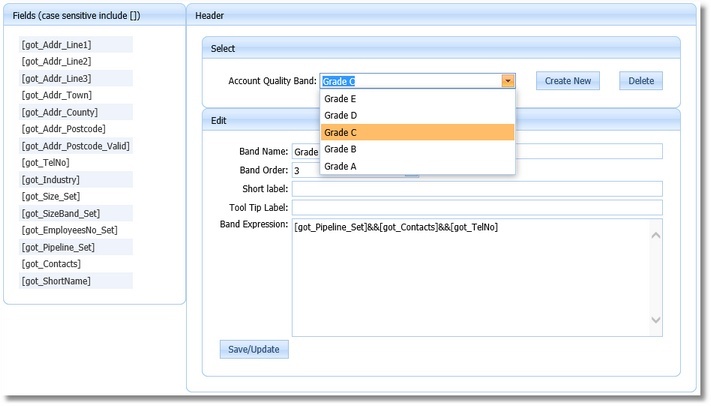 email addresses can be checked at three levels, syntax errors, domain existance and mailbox existance. 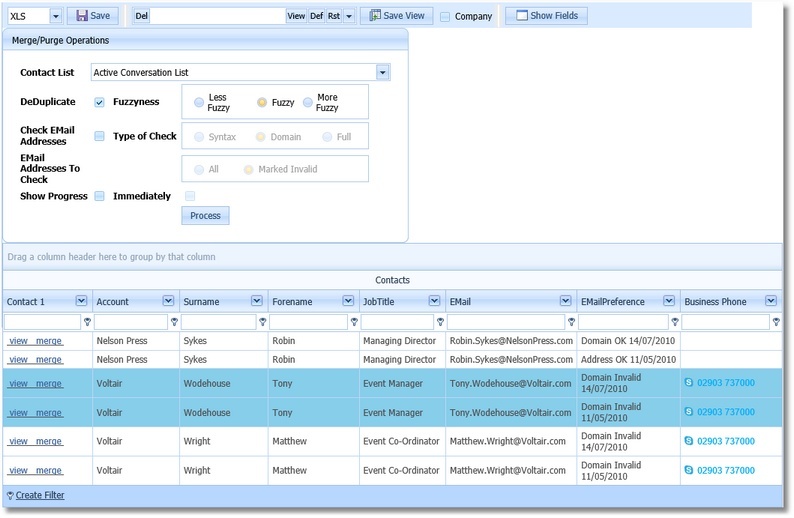 ConversationalCRM also allows you to check and mark email addresses after a bulk email shot, by checking the non-delivery returns.